Think you know your Google? The search giant adds new features to its main portal on a regular basis, some of which you may have missed, like the ability to roll a die or toss a coin. Here are our favorite Google search tricks that have been introduced in recent months. It's possible that not all of these tricks work in your part of the world yet;Google usually introduces features in the US before rolling them out more widely. In most cases appending &gl=us to your search query enables the feature. Google has started adding health information cards alongside search results when you look for common conditions. You get three tabs—About, Symptoms and Treatments—and an illustration. The data is sourced from the web before being approved by a team of medical professionals, according to Google. If you don't have a nickel to hand then Google will gladly flip a coin for you: Enter flip a coin as your search query to see a short animation then the heads or tails result. The query roll a die works as well (a six-sided die, no polyhedrals yet). You can flip or roll again using the option underneath your result. Still carrying a thesaurus around with you? What is this, 1995? 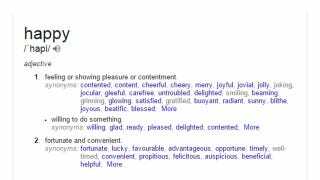 Add synonym or antonym to a single-word search and Google adapts the dictionary info card to bring synonyms or antonyms to the fore after the main definition. You can click through on any of the words found to get a further definition. Google doesn't want you wandering off to other sites for your unit conversion needs. Enter unit converter as your search term to bring up a small box where you can find calculations for temperature, length, mass, speed, volume, area, fuel consumption, time and digital storage (bits to bytes and so on). Your Google Account follows you wherever you go, and you can add reminders to Google Now right from the main search page (assuming you're signed in). Type create reminder to bring up a box where you can enter the relevant details, then select Remind me on Google Now to save it. Enter a place name followed by latitude longitude and you can get exact coordinates to pretty much anywhere on Earth without leaving the comfort of the Google search results page. You can also restrict the search to one bit of data or the other, or enter coordinates after the place to get the same result. If you have a strong aversion to Google Maps then you can get driving and transit directions from Google search: Type from, then your starting point and destination, then your desired mode of transport. The subsequent info card lets you switch between modes of transport and load directions in Google Maps. Google already shows up a list of in-depth (long) articles for certain search results, but it doesn't happen every time. By appending the string &tbs=ida:1&gl=us to any search URL you can force the results to include in-depth links for whatever topic you're researching. Google's search engine is now a math professor too, solving queries such as volume of a sphere or area of a circle with a diameter of 10. Click the arrow to see the calculations. 2 and 3 dimensional curved shapes, platonic solids, polygons, prisms, pyramids, quadrilaterals, and triangles are supported. Earlier we mentioned the integration of search with everything else Google, and this applies to Gmail too: try where's my package or when's my flight to bring up instant results pulled from your emails. If this creeps you out a little, you can disable the feature by going through the search settings page. A big hat tip to Alex Chitu and his excellent Google Operating System blog where we discovered most of these tricks to begin with. It's a great unofficial source of info on all of Google's products.